Surendra Goyal, public health engineering and ground water minister tendered separate resignations to Chief Minister Vasundhara Raje and the party's state president, Madan Lal Saini. Surendra Goyal (right) was not a part of the 131-candidate list released by BJP on Sunday. 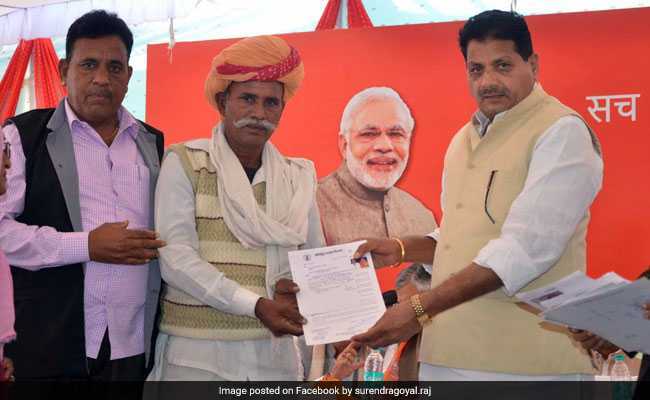 A Rajasthan minister, who was dropped by the Bharatiya Janata Party in its first list of candidates for the assembly election, resigned from his post and the party on Monday. Surendra Goyal, public health engineering and ground water minister who represents the Jaitaran constituency, tendered separate resignations to Chief Minister Vasundhara Raje and the party's state president, Madan Lal Saini. The five-time lawmaker has not given any reason for the resignation. In its first list of 131 candidates released on Sunday night, the BJP has fielded a new face, Avinash Gehlot, from Jaitaran.